April 4, 2012 - WESTBURY, N.Y. - VasoMedical, Inc. (“VasoMedical”) (OTC BB: VASO), a diversified medical technology company specializing in the design, manufacture and sale of medical devices for noninvasive cardiology, including EECP® Therapy systems, the gold standard of ECP therapy, announced today that the BIOX Instruments Co. Ltd., a subsidiary of VasoMedical, will attend and exhibit at the 69th China International Medical Equipment Fair (CMEF) from April 17-20, 2013 in Shenzhen, China. The China International Medical Equipment Fair, founded in 1979, is held twice a year during the spring and autumn seasons. It is the largest exhibition of medical equipment, related products and services in the Asia-Pacific region, attracting about 2,600 exhibitors and over 82,000 attendees from more than 100 countries and regions. The exhibition features products from across the medical device industry, including medical imaging, in vitro diagnosis, electronics, optics, first aid, rehabilitation, nursing, medical information technology and outsourcing services, among many others. BIOX has been participating in both spring and autumn events for 18 consecutive years and under VasoMedical brand since last year. 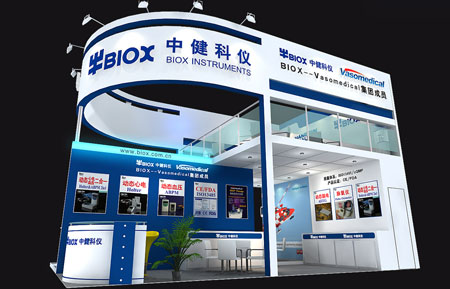 VasoMedical-BIOX will be located at Booth H9-G27 in Hall 9 in the Shenzhen Convention and Exhibition Center. It will present the BIOX line of ambulatory monitoring systems including Holter monitors, ambulatory blood pressure monitors (ABPM), analysis and reporting software, as well as many OEM modules for EEG (electroencephalography), oximeter, etc. VasoMedical's core technology, EECP® Therapy will also be featured in the show.